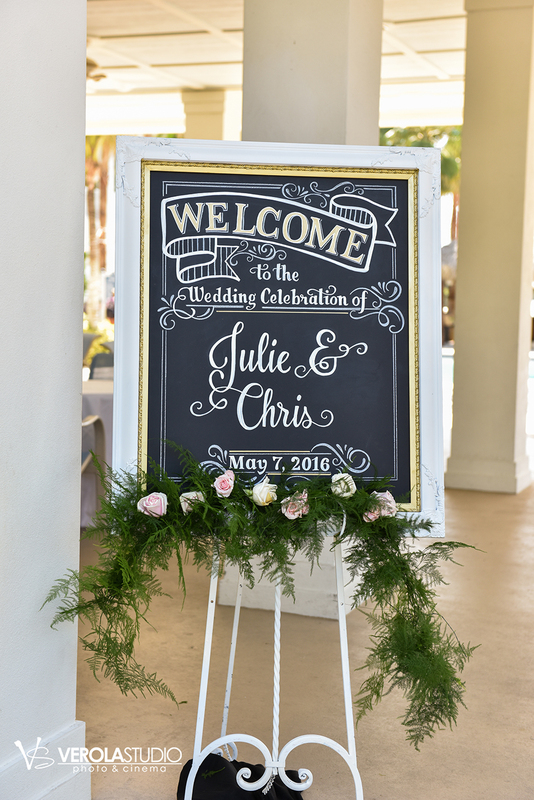 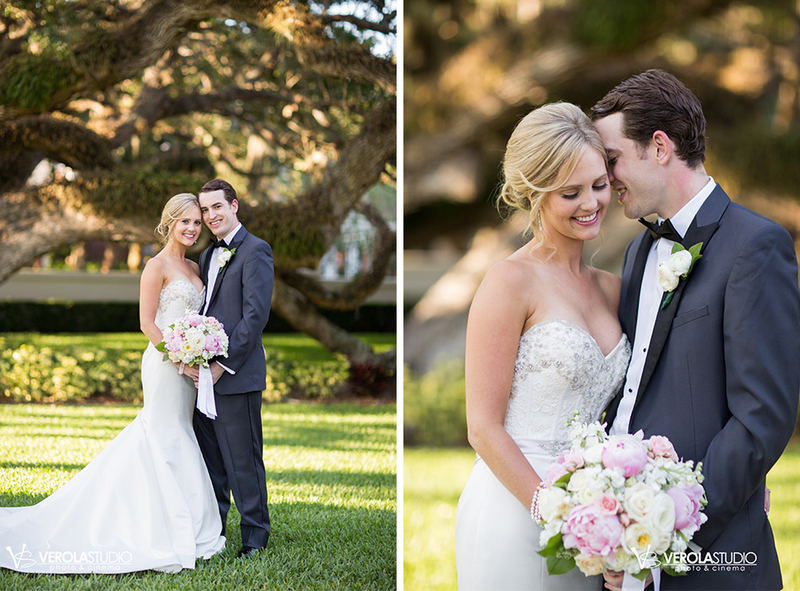 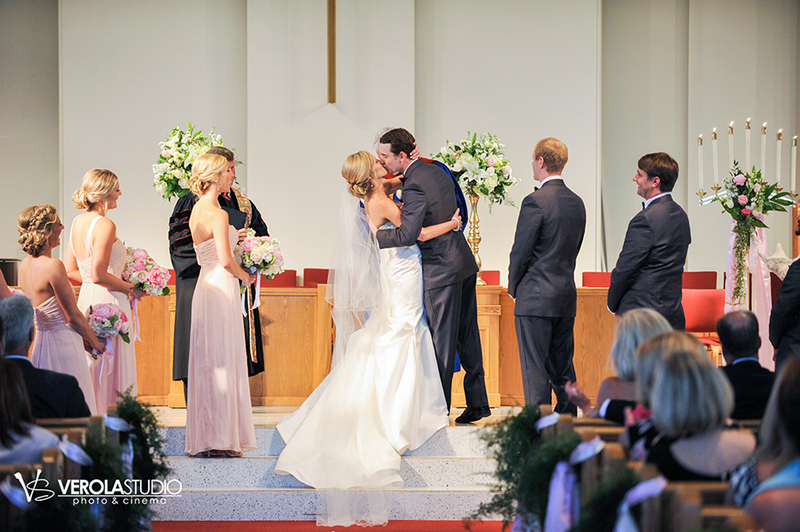 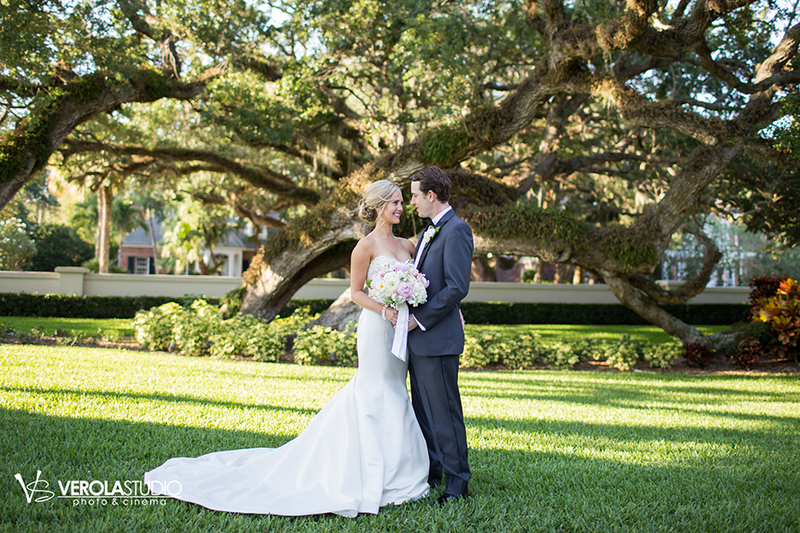 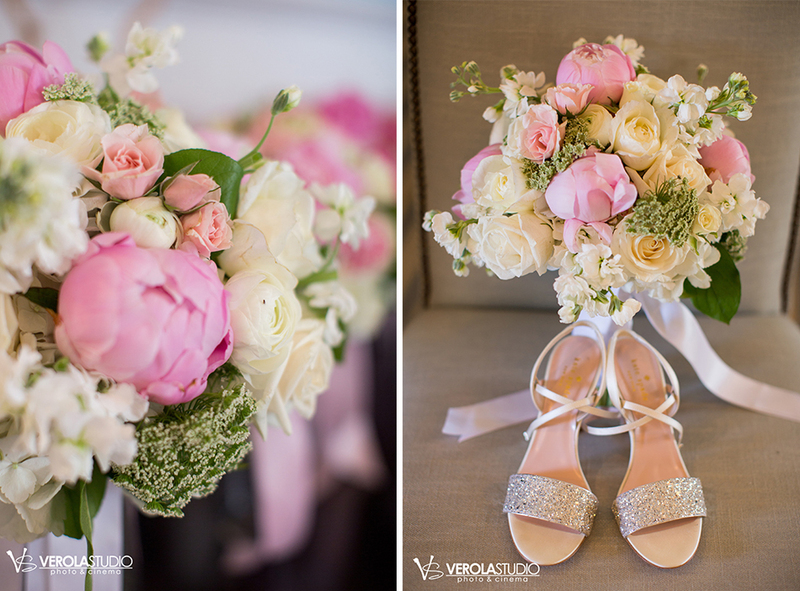 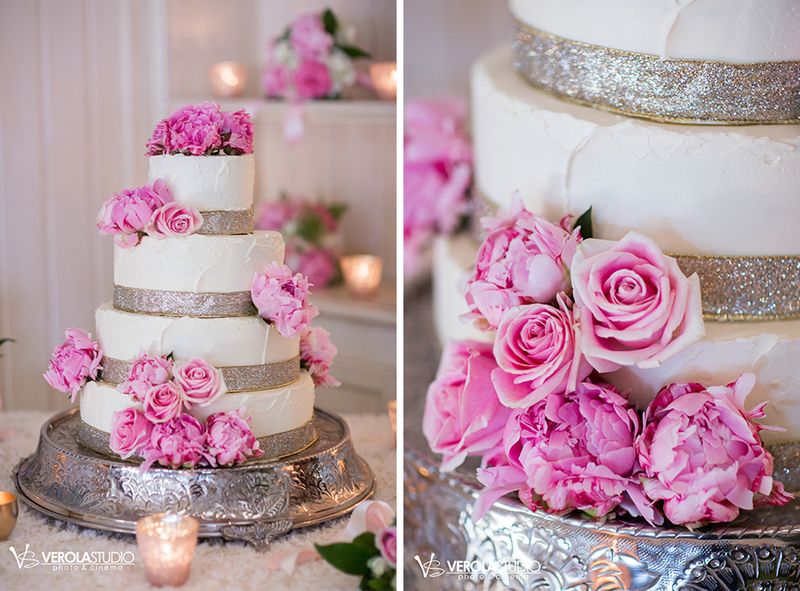 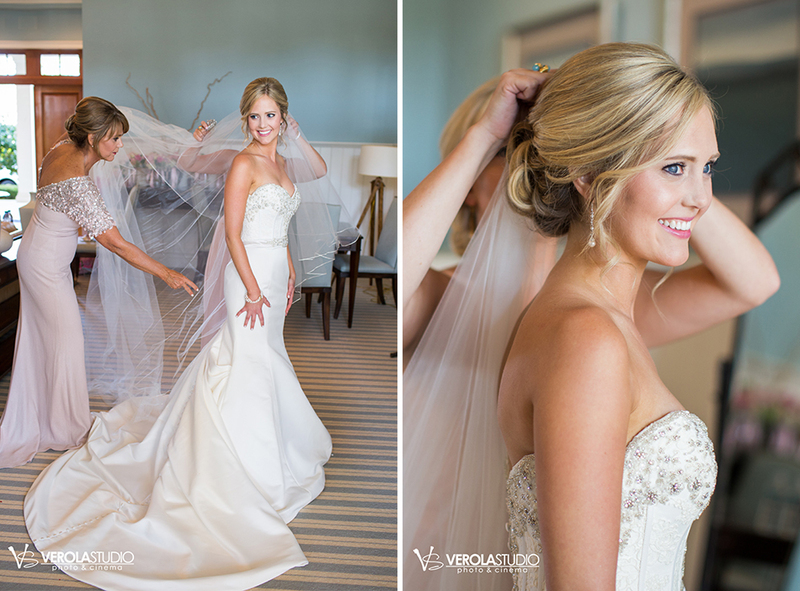 Chris and Julie’s wedding at Quail Valley River Club was filled to the brim with pretty pink hues, lavish floral, and tons of romance. 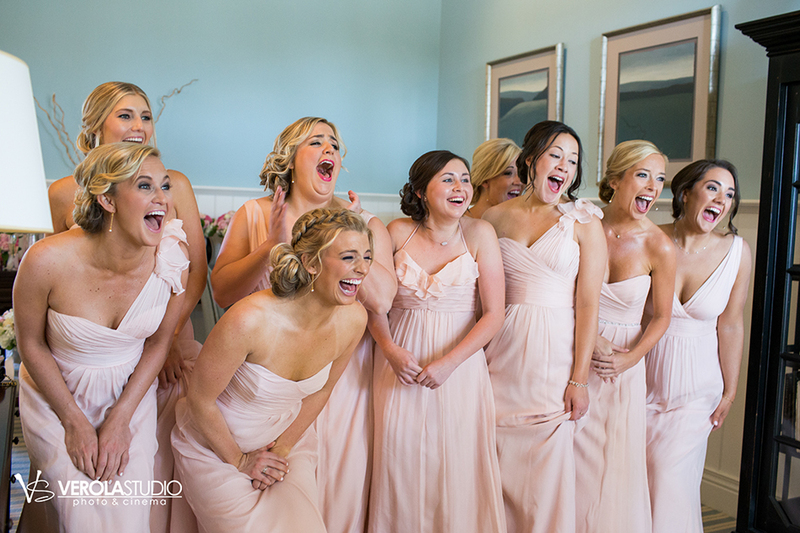 Julie and her bridesmaids had a chic girly vibe to them. 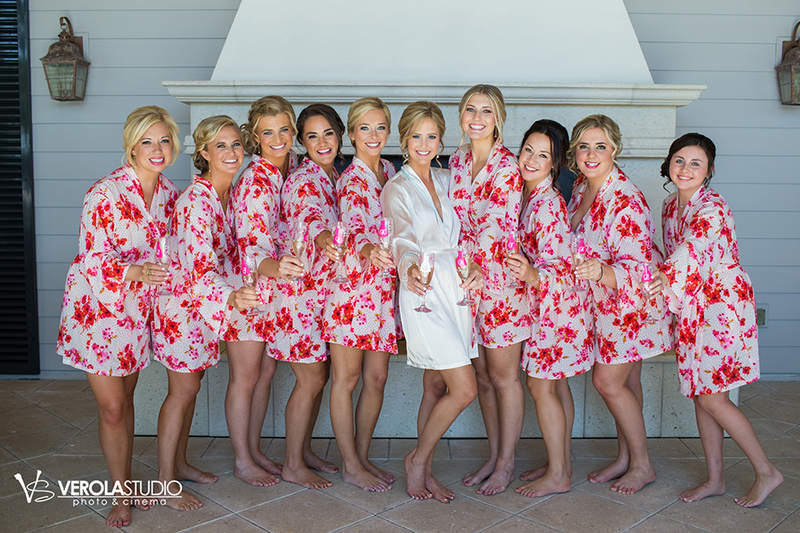 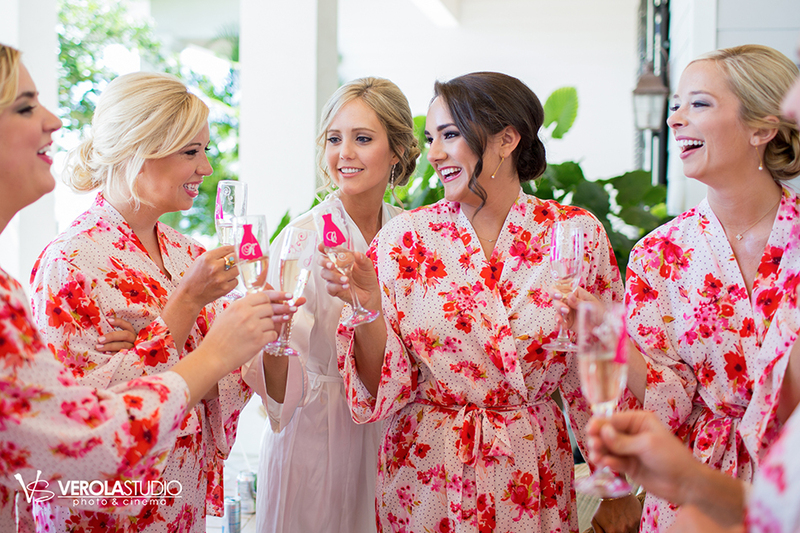 From the floral robes they wore while getting ready, to their positively perfect updo’s, all the way to their bubbly personalities, these girls sure knew how to be the perfect bridesmaids! 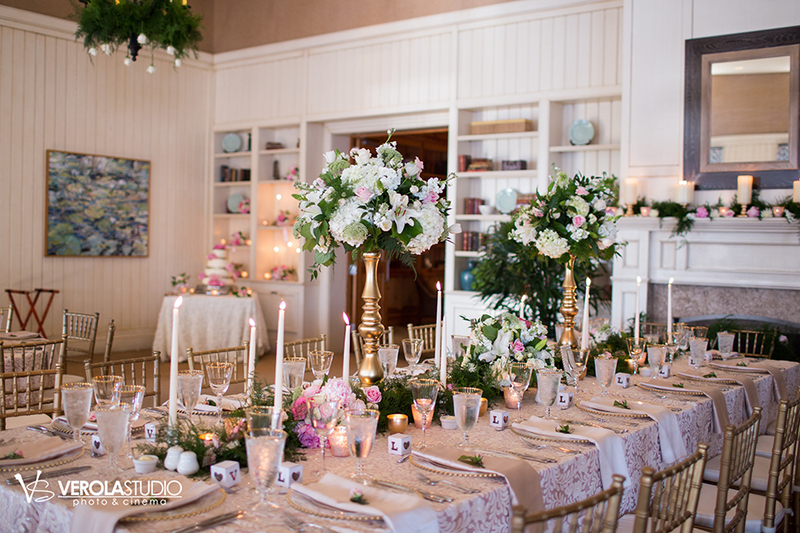 The reception space was an absolute dream. 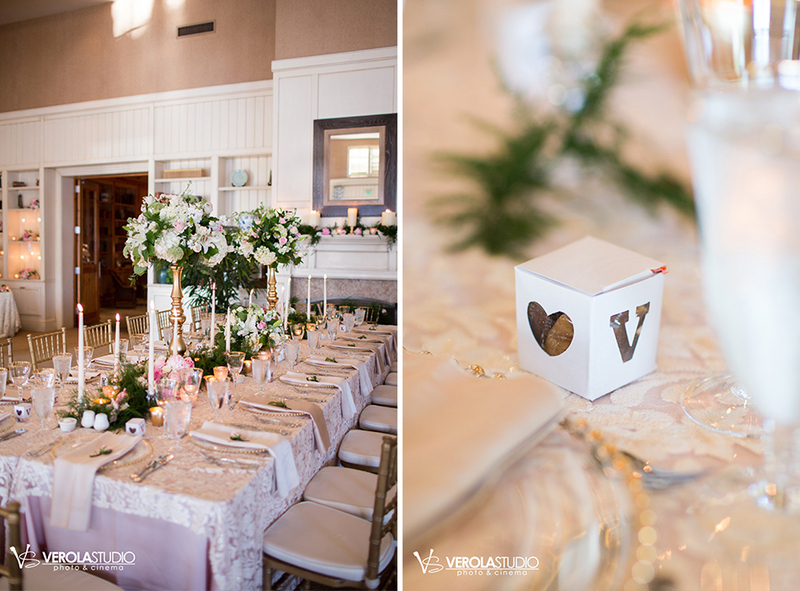 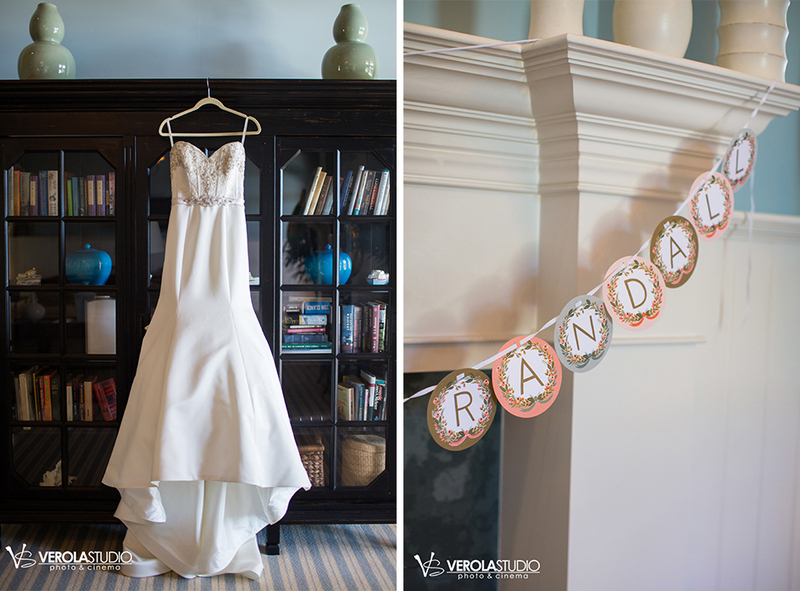 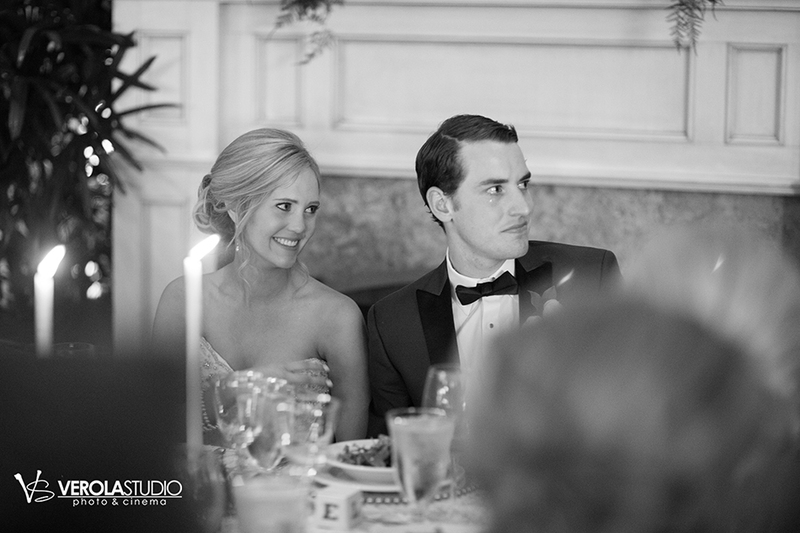 The decor made the room feel incredibly glamorous, yet intimate at the same time. 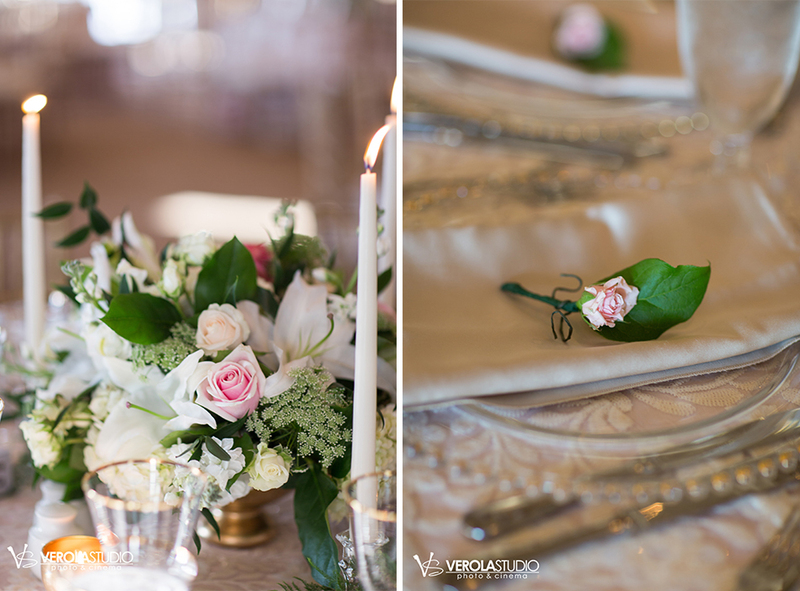 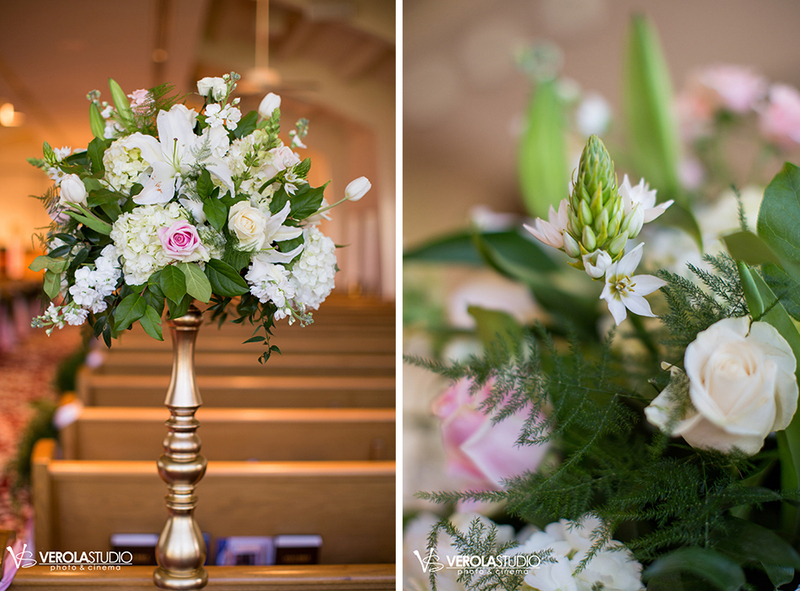 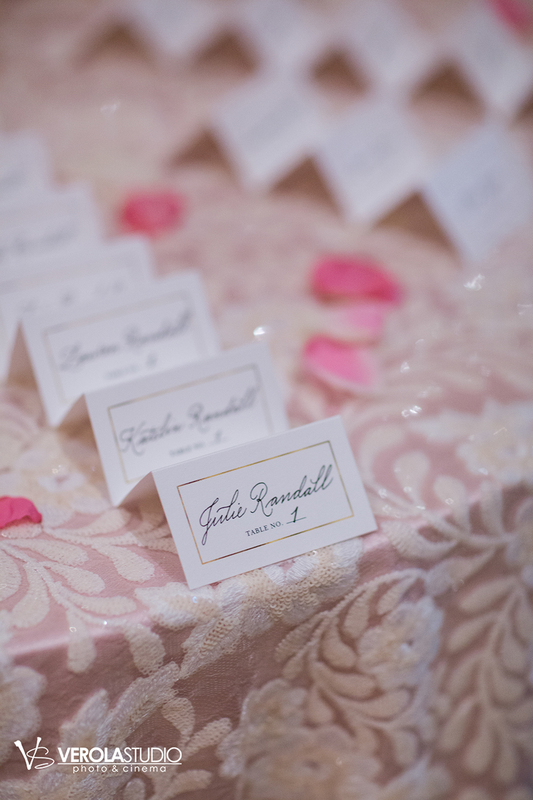 The pops of gold, including the classic chiavari chairs, created a charming touch. 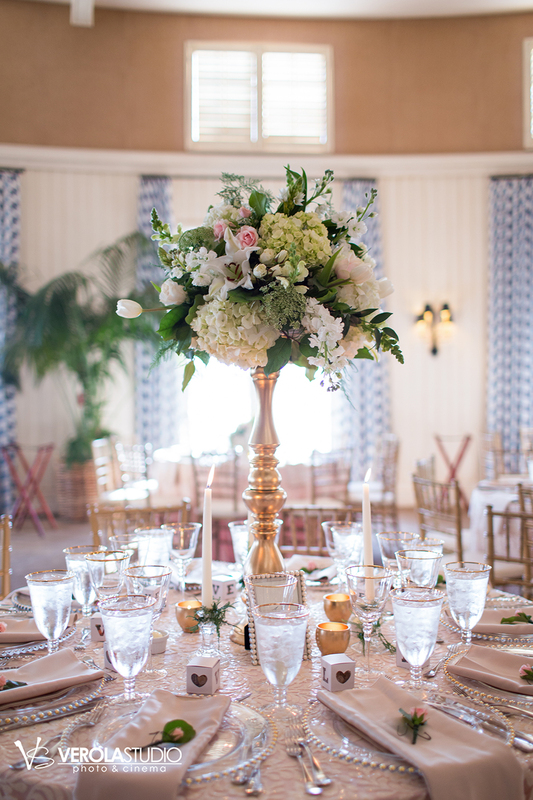 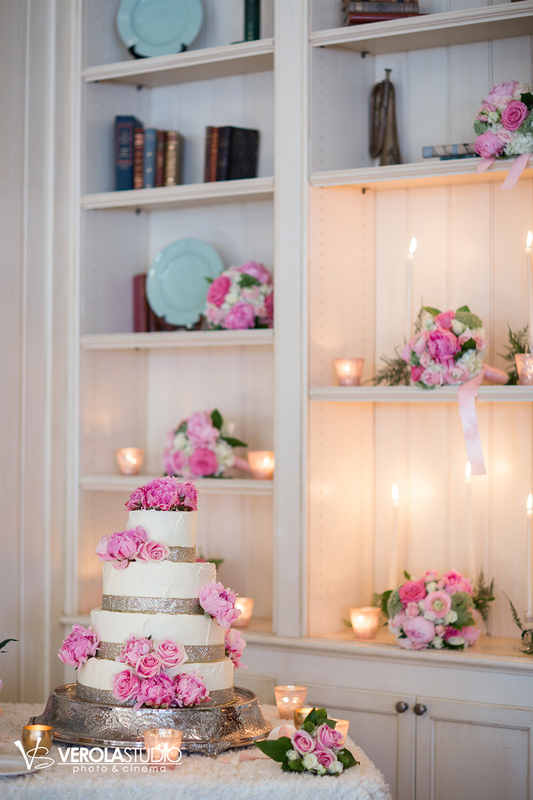 And of course, we can’t forget to mention the impeccable centerpieces by Pink Pelican Florist! 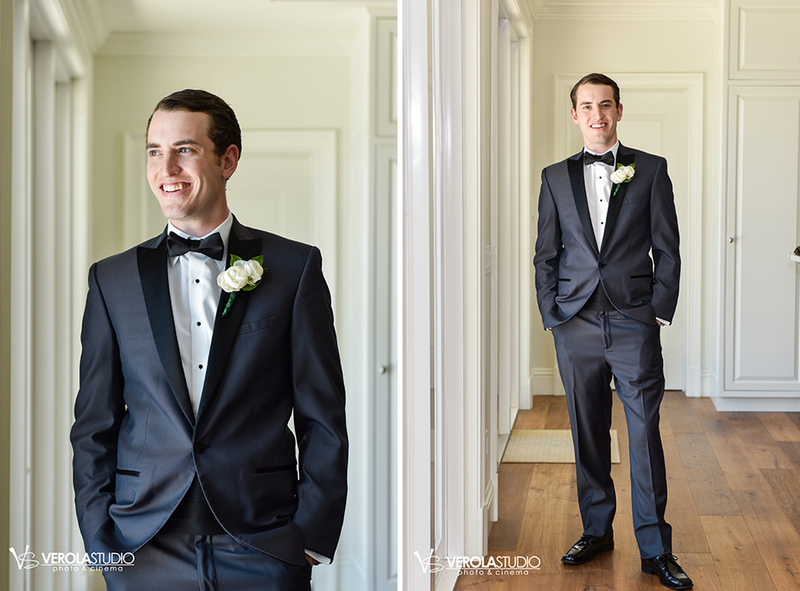 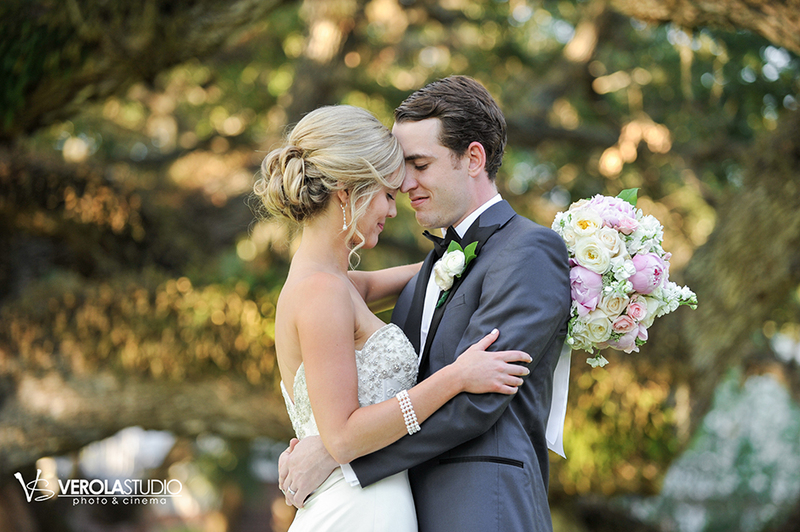 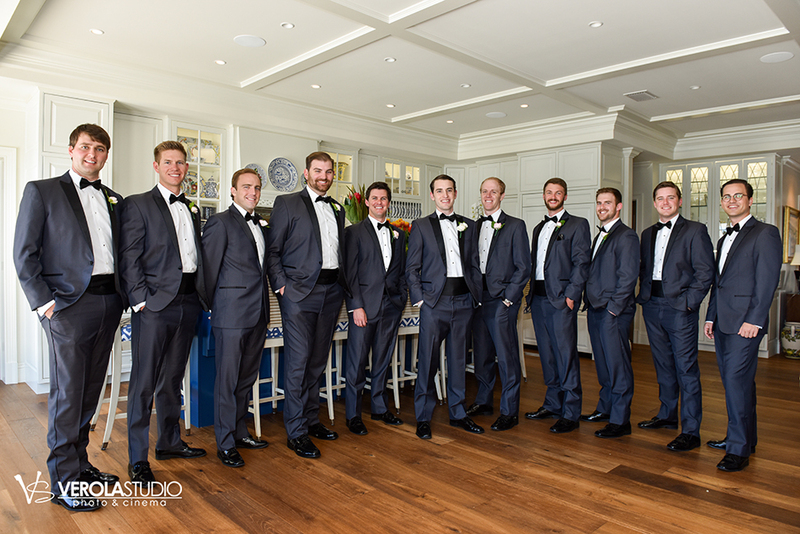 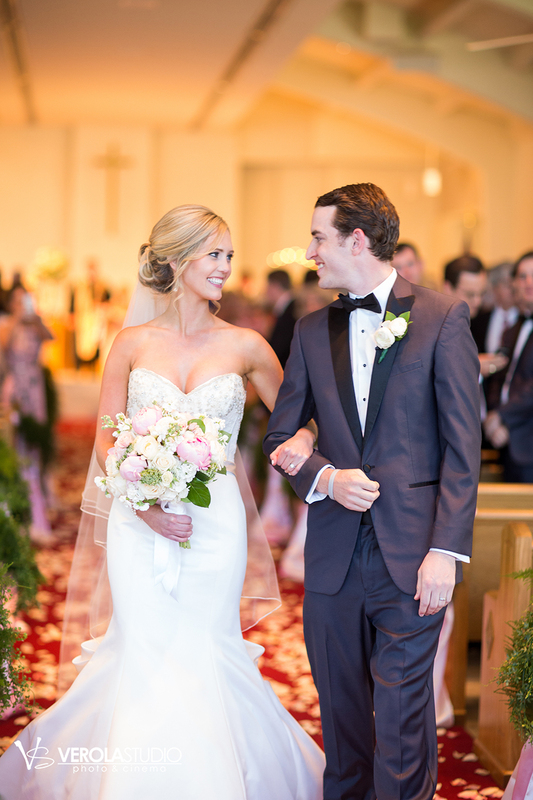 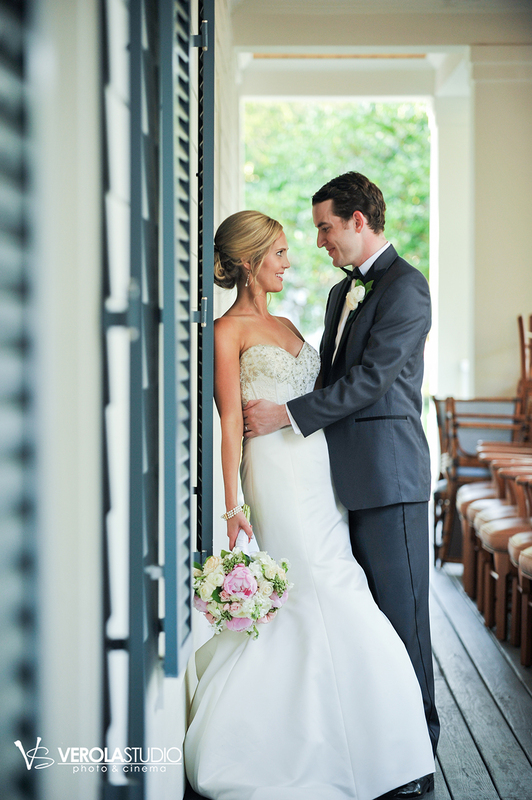 Chris and Julie’s love for one another truly shines through these photos, and we love that Verola Studios captured their romance in the most perfect way possible. 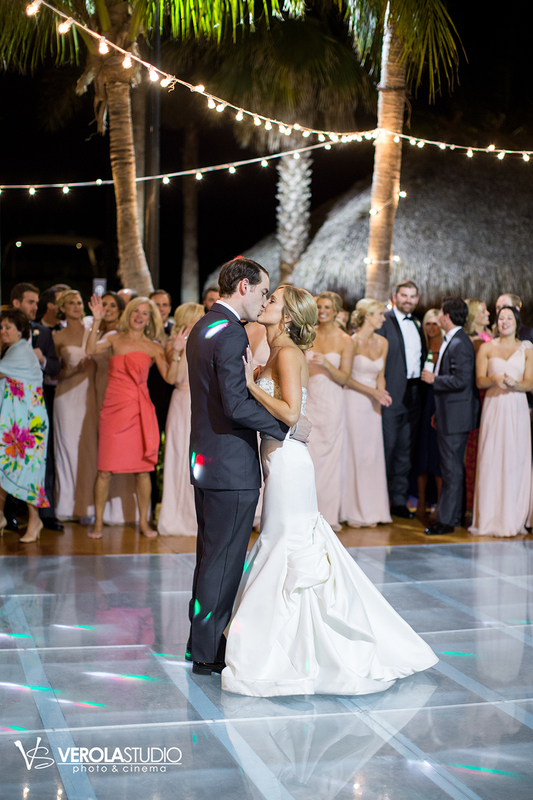 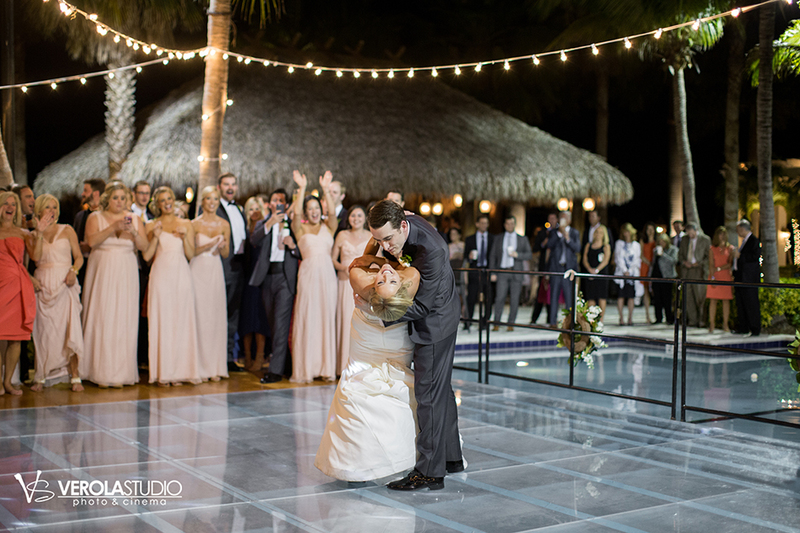 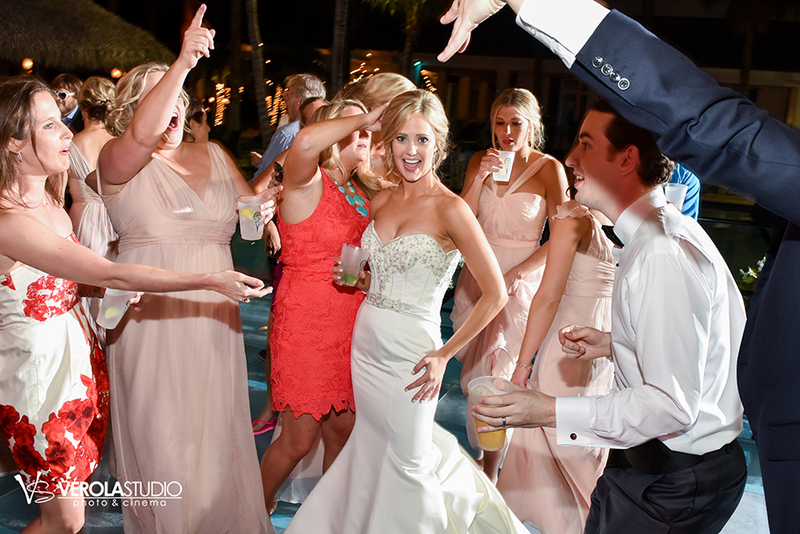 Guests danced the night away on a clear dance floor suspended over the pool at Quail Valley. 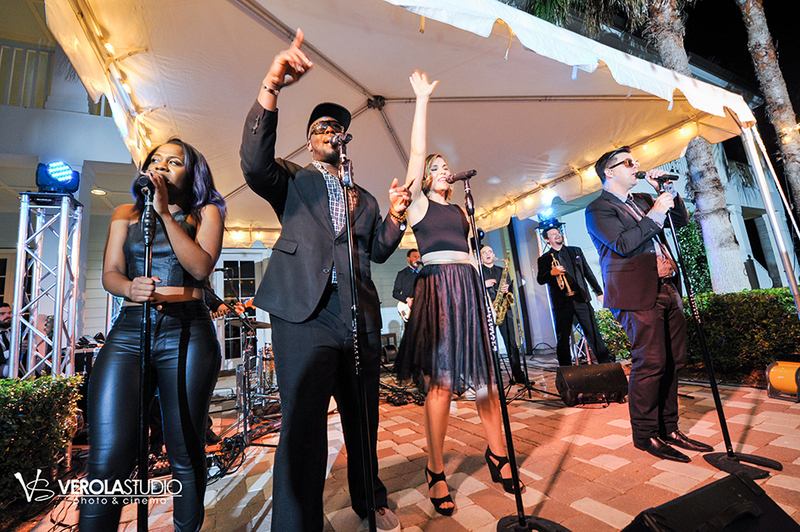 The band kept the party going late into the night. 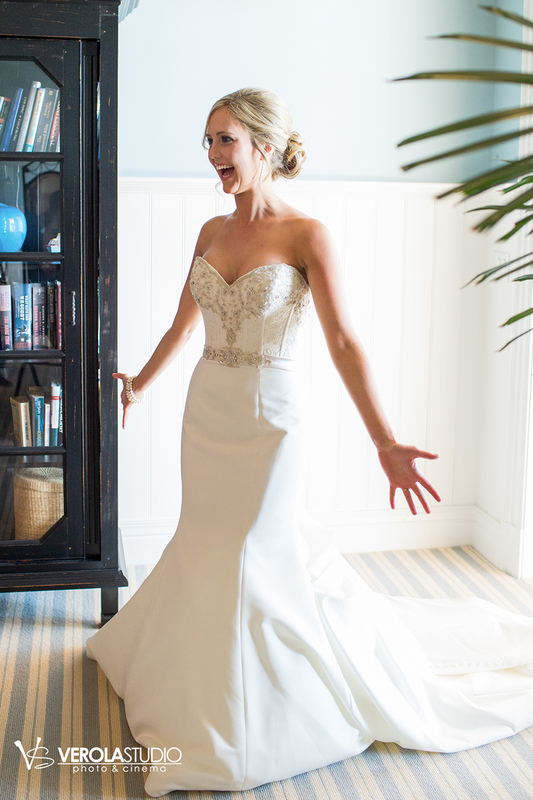 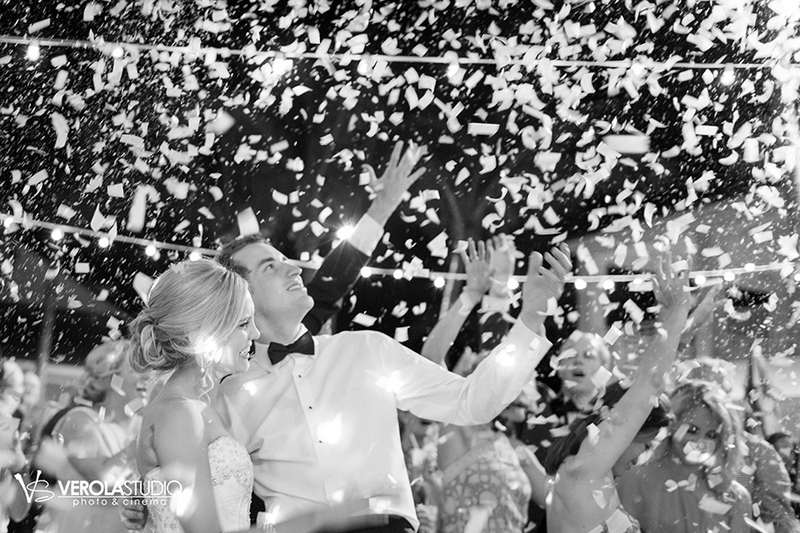 The final dance was under a shower of confetti from friends and family.